to meet all your transportation and logistic needs. You only need to contact us to get the job done. 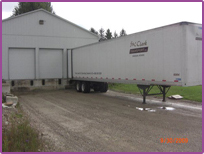 Copyright © 2009 S & C Clark Transport. 2005.All Rights Reserved.